The Secret Behind S-5! Snow Retention Holding Strength is the Setscrews! Why Snow Retention? When snow accumulations begin to melt, the result can be catastrophic as the blanket of snow avalanches off the roof dumping tons of snow onto anything in its path. It can damage landscape, gutters, adjacent roofs, vehicles, and cause injury or death to passers-by. SnoRail™ and SnoFence™ retention systems dramatically reduce these risks associated with rooftop avalanches, maintaining the clean lines of the roof and lasting as long as the roof itself! SnoRail™ and SnoFence™ can be designed and engineered on a site-specific basis. The only snow retention system good enough to be warranted for the life of the roof. 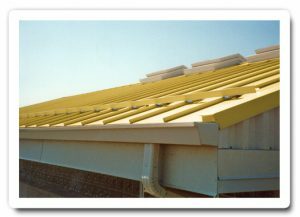 Unlike other snow guards that yellow and fail over time, ColorGard’s unsurpassed holding strength controls snow migration with a perfect color-match that lasts the life of the roof. Learn more about ColorGard®. 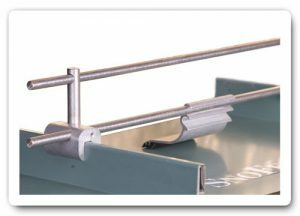 Offered in aluminum or brass, our snow fences are designed to manage snow migration on standing seam metal roofing. Their clean lines, cylindrical shapes and high-tech appearance make these snow guards the favorite choice of architects and roof designers. Learn more about SnoRail™ & SnoFence™. These are special order items and require additional time to ship. 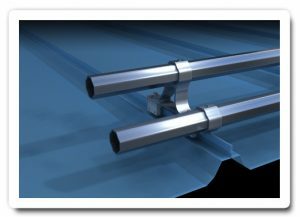 It can be designed as a one- or two-pipe system spanning up to 42″ seams. Tests have proven the X-Gard™, with the amazingly strong NeX-Pipe™, to be the strongest pipe-system on the market. These are special order items and require additional time to ship.